Because of heavy business schedule I wasn't able to submit new posts. Meanwhile I was mostly working on UFT and HP's Service Virtualization (SV). After the business hours it would be better for me to write some posts before forgetting what I learned. 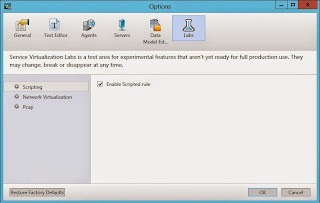 I am going to describe how to enable scripted rules in SV. For some of the web services that needed to be virtualised, sometimes default rules and default functions may not be enough to implement desired output. For this reason there are scripted rules that you can do by programmatically for those you weren't able to implement by default functions. 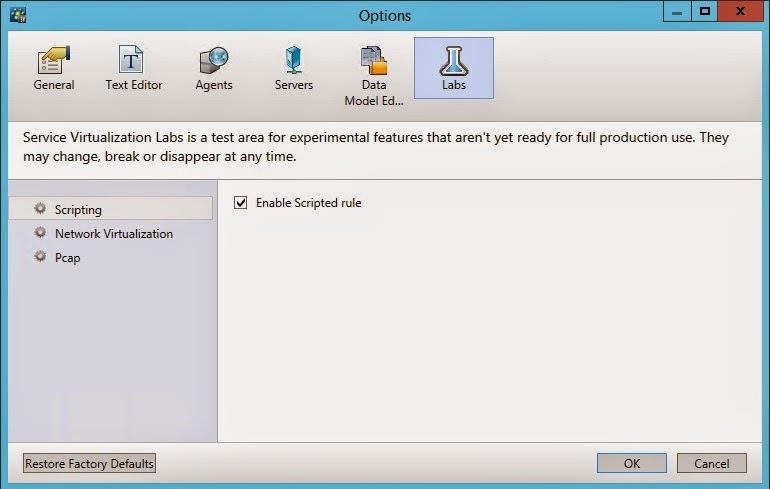 First you have to enable scripted rules funcionality from the SV Designer. Next, I am going to describe adding .Net referance to your C# rule.